Many people suffer ongoing emotional pain due to lingering bad memories that sometimes reach back even into childhood. We are looking here at the teaching of Saint John of the Cross regarding the purification of memory. Saint John of the Cross, a Doctor of the Church, is the Church’s greatest mystical theologian. Although he lived in the sixteenth century, this Saint is well known for his acute psychological insights into the human condition. Saint John of the Cross tells us that harmful memories are gradually purified and healed by the theological virtue of hope (a virtue infused into our soul at baptism). It is to be kept in mind that the exercise of the God-directed theological virtues of faith, hope and love constitutes the highest expression of human mental activity because these three supernatural virtues focus our attention on the source of all goodness and healing: God. It is thus that the exercise of the theological virtue of hope will be of profound value in healing harmful memories that depreciate our lives, and can even cause severe emotional suffering. Saint John of the Cross’ approach to the healing of memory involves the decision to let go of and forget the painful memory. Clearly by now you’ve replayed that harmful memory a thousand times in your head. Assuming the memory has not been repressed in a harmful manner, but rather that there has been time to bring the memory to the fore through productive therapy and dialogue, there comes a time then when we should allow the theological virtue of hope to gradually heal and replace (or greatly diminish) the memory. Consider a broken bone: there is a time for casting and physical therapy, but hopefully the bone will heal and the memory of the painful fracture will diminish. Saint John of the Cross suggests that the balm of grace-filled hope will accomplish this healing for your traumatic memory. As one Carmelite writer states: “The psychotherapist, by relieving disturbing emotions attached to memories of earlier experiences, prepares the person indirectly to advance in prayer….” It is primarily through prayer that we exercise the virtue of hope in relation to the healing of memory. This road to the “inner reformation” of memory begins with the stark realization that the constant re-living of painful memories is an obstacle to hope and happiness. Saint John of the Cross states that the application of the virtue of hope “liberates us from a lot of sorrow, affliction and sadness” which he calls an “exceptional blessing” (AMC, III, 4). It is useful to consider, in this regard, that in modern cognitive psychology, known as Cognitive Behavioral Therapy (CBT), the identification and elimination of defective thinking patterns is considered essentially curative (see Muto, p.130). 1. You see that you are being plagued by a bad memory which is causing you emotional turmoil and depreciative living. 2. You are going to let go of this memory, and its hold on you, by placing yourself directly in the infallible presence of Jesus Christ in Eucharistic Adoration for one hour (this adoration is an eminent use of the theological virtues of faith, hope and love). 3. It may be beneficial at the beginning of adoration to let your emotions run free for a few minutes through conversation with Jesus. 4. For the remainder of adoration you are going to place yourself in the presence of Jesus and simply let Him heal you. Thus, you will intentionally vacate your mind of the harmful memory and simply look lovingly in complete hope at Jesus. You are simply going to fix your mind and attention on Jesus, letting Him be present to you, sort of as if you were on the beach, forgetting yourself and everything else in the brilliant rays of the sun. You are simply going to let the healing rays of Jesus’ love fall gently upon you. At the end of adoration it would be appropriate to make a prayer of thanksgiving to Jesus for the graces received. 5. Gradually, over time, as Eucharistic adoration becomes part of your life, Jesus will heal the harmful memory. P.S. Nothing in this theological note is meant to be a substitute for good and necessary medical and professional care. References: I am relying especially on Chapter 7 of Dr. Susan Muto’s book, John of the Cross for Today: The Ascent (Ave Maria Press), which is recommended for further detail regarding this topic of the purification of memory. Saint John of the Cross discusses in detail purification of memory in Book Three, Chapters 1 to 15 of The Ascent of Mt. Carmel (AMC). Dr. Ralph Martin has a CD on Purification of the Memory. Keep in mind that St. John of the Cross is talking about a complete purification – a complete overhaul – of memory, whereas in this note I have just addressed the specific area of harmful memories resulting from traumatic experiences. 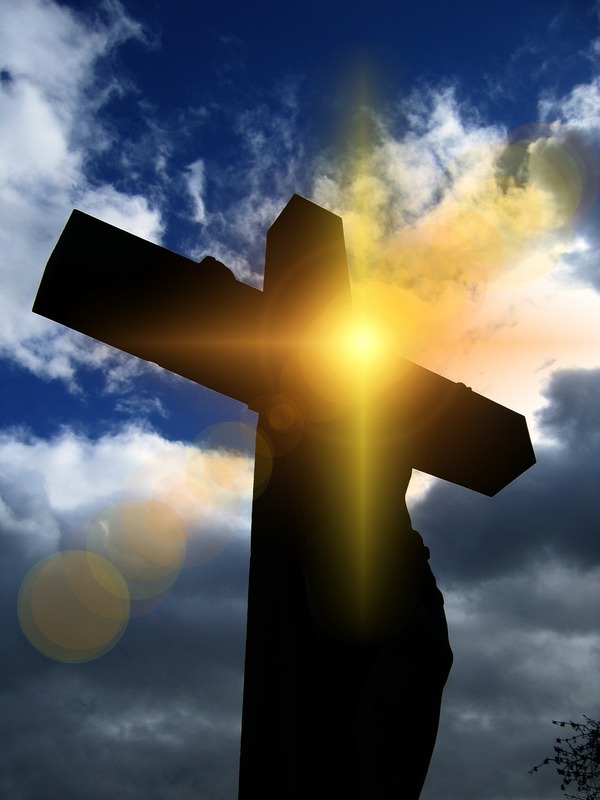 On the theological virtue of hope, see the Catechism of the Catholic Church, nos. 1817 – 1821. 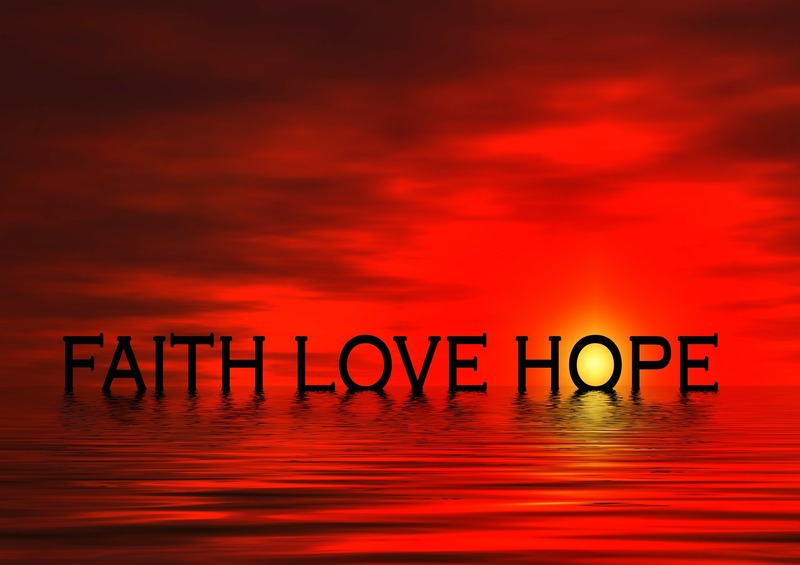 The closer we get to God, the more we walk by faith, hope and love. “How good it is,” says Pope Francis in The Joy of the Gospel, “to stand before a crucifix, or on our knees before the Blessed Sacrament, and simply to be in his presence!”(#264). ← I SAW THE TREE WITH THE LIGHTS IN IT! So needed right now! Thank you! Thank you. 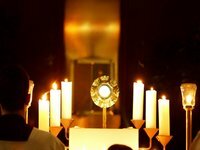 Eucharist in Adoration has helped me so much.The best therapy to help overcome painful memories. God bless you.